The F1/F2 season has ended and the new season has not yet begun (planned from March to June ), but we just can't afford 3 full months without racing fun It's a good moment to continue with our long-lasting tradition of rallying (since 2007) and announce the new - thirteenth! - season of GRPL WRC league. 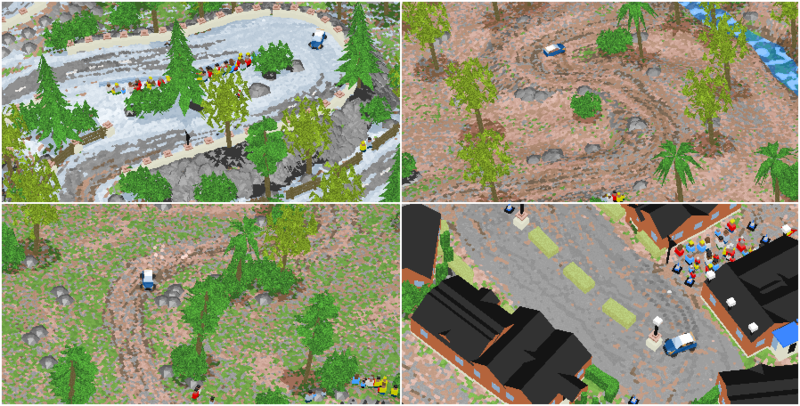 The season will be short, intense and extremely fun due to a good selection of top-quality rally tracks (mainly by AeroWiewiur and JE) and newest carpack provided by Hormous. For the first time the competition will be divided into two classes - WRC and WRC-2, what ensures that everyone will find a competition which suits their skills and needs. All detailed information about the championship and current announcements regarding upcoming rally events can be found as always on our discord server, so come join us if you haven't already done so. If you want to take part in the Championship, don't hesitate and sign up by posting your nickname and nationality (here or on our server) so that you can take part in the test rally this weekend (12-13 January) which will help everyone decide on choice of classes and teams. Rulebook is available on discord server, on #wrc-rulebook channel. You can download the game pack on #wrc-announcements channel. Don't worry if you missed the testing part - it won't affect the season which begins next week and you can still sign upof course! Results of Test Rally - Day 2.